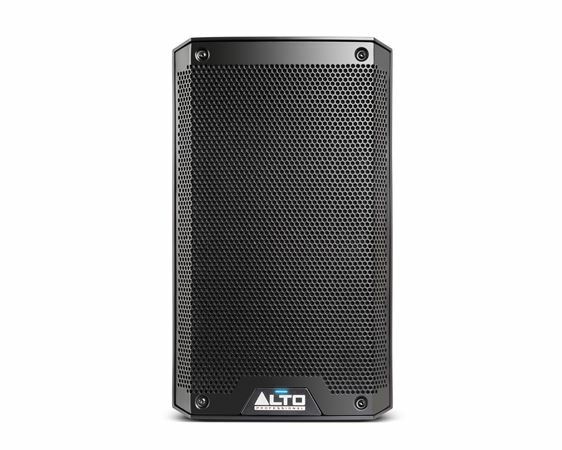 Order your Alto Professional Truesonic TS308 8-Inch 2 Way Powered Speaker from AMS and enjoy 0% Interest Payment Plans, Free Shipping, Free Extended Warranty & 45 Day Money Back Guarantee. With enhanced components, remarkable power output and sleek design, the Truesonic TS308 defies expectations and sets a new standard in portable powered speakers! 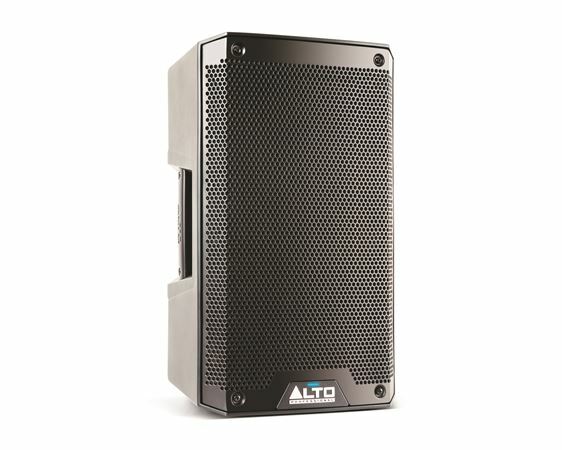 Alto designed the speakers to be used in a huge variety of live situations. They are high-performance in every sense: Their new transducers and amplifiers enable them to play extremely loud and clear, without compromise or restriction. The Truesonic TS308 pushes out a seriously powerful sound from its 8-inch woofer and 1.4-inch IF driver thanks to an incredible 2000-watt peak (1000-watt continuous) amplifier! This makes the TS308 a seriously loud compact speaker. The four models in the TS3 line boast all-new low-frequency drivers, designed to play louder and handle more power than their already-impressive predecessors, the wildly-successful TS2 Series. They also have a new horn-loaded high-frequency driver. This impressive transducer has a brand-new heat sink design that provides exceptional heat dissipation for impressive power-handling, even at all-night-long concert levels. 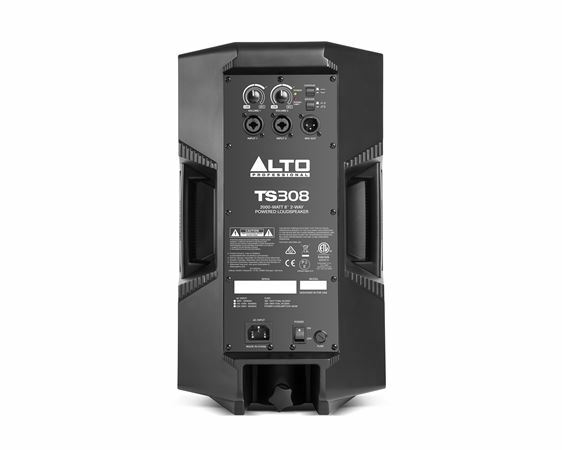 Because these new drivers can safely handle the additional power, the TS3’s take full advantage of the increased wattage and will play at higher SPLs with lower distortion. Alto has even made the TS3’s easier to use, with an updated control panel and clearer control indications and detents that make for a faster, more precise setup. Weight: 20.2 lbs. / 9.2 kg. Bought a pair just to try out because no local stores had them in stock to demo them. Once I received them and gave them a listen, I KNEW that they were keepers! The low end response on these is unreal for an 8 inch speaker. I also have the Alto ts212 12 inch speakers, and it's a toss up as to which puts out more bass. I have put about 40 hours of real world use on these speakers, and can tell you they are worth every penny. The only issue I have had so far is that the bass response of these is so strong, that the power cord vibrates itself out of the connector on the back of the speaker. I ALWAYS use subs and cross my tops over,so this won't be an issue for me. I tried them full range for a smaller party, and that's when this issue happened. 3 or 4 times over a six hour time frame. I WILL be getting more of these, as they are loud,great sounding, and helps lighten my load and uses less space when transporting to and from gigs. decent SPL and nice compact size and sound. This little speaker is awesome!! For the price compared to others in its class it’s well worth the money. The clarity is clear, and the bass is loud! This is a great speaker and has very clean sound. The only complaint I have is that there are no adjustable eq settings. However when I use these speaker I connect them through my driverack to control the signal. The highs are crisp and the low end is punchy. Otherwise these are my go to speakers for small and medium size gigs where I don’t need large tops. They put out exceptional volume and sound excellent. For the price and size they are great value. This is one of the best investments that I’ve every invested in I’m very pleased with my purchase. I needed a speaker last minute for a DJ Gig but I didn't want to spend a lot of $ but needed a dependable, compact speaker. AMS had what I was looking for in this little beast of a speaker. I loved it so much because it's clear, it had descent punch but also it's compact, light and very functional. I love it so much that I'm getting two more to add to the one I already have to use as my PA along with my subs..